for individuals requiring specialized residential care in the comfort of familiar surroundings. Patients receive an array of treatment options administered in a safe and secure residential setting. We treat a variety of psychiatric conditions led by a team of nurses, case managers, psychologists and physicians. 24-hour nursing care, medication management and therapies support residents while they develop the tools and skills needed to successfully function and overcome challenges. We help our residents recover their strength and restore confidence and independence. Our approach to post-hospital rehabilitation is specifically designed to help reduce pain, improve living skills and enjoy greater freedom of movement and overall functionality. Therapists are available to work with residents 7 days a week. 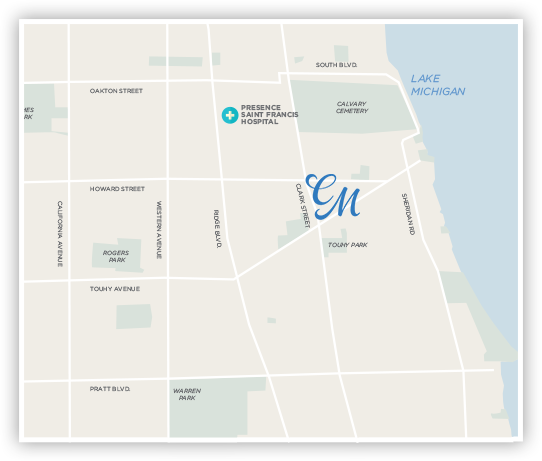 Call us today at 773.338.8778 to schedule a private tour and learn more about Clark Manor’s medical residences and services or fill out the form below.